The definition of the best pair of headphones can be subjective but the most common requirements are that it would be something that can deliver a great sound equally from both drivers, well built or made of sturdy materials, can be connected hardwired or wirelessly, can be used to make or take calls with awesome voice clarity, and it has long lasting battery life. It also helps that it is lightweight/portable and you can comfortably wear or carry them around with you everywhere. 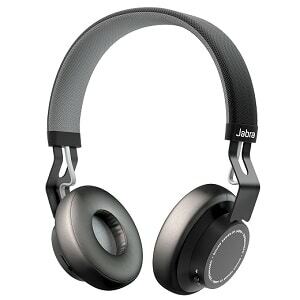 The Jabra Move Wireless Stereo Headphones ticks a lot of the check boxes for being a great pair of headphones, plus the fact that it’s minimalistic industrial design makes it stand out coupled with the affordable price tag that is attached to it. 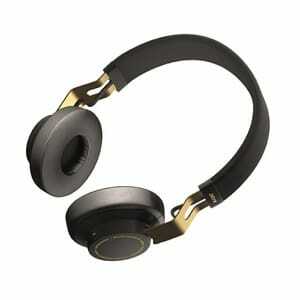 It is considered one of the best headphones with a very affordable price tag. 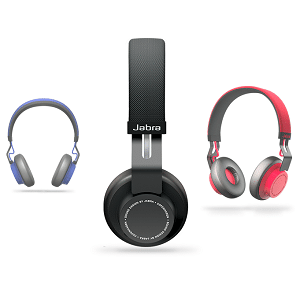 The Jabra Move Wireless Stereo Headphones delivers surround sound from each of its 40mmm drivers. It has the proprietary DSP (Digital Signal Processor) that delivers depth and clarity to your favorite tunes. Delivers a well-balanced sound quality. It favors the lower end but the bass is present and does not overpower the rest of the frequencies. It delivers a solid punch in terms of bass. Vocals and acoustics are clear. The soundstage is wide and pleasant. There is moderate sound leaking out of the cans so your seatmate or neighbor will be able to hear what you are listening to at high volumes. In terms of voice calls – amazing clarity and reproduction of voice making for clear cut conversations with no static or buzzing noise. Simple, industrial, Scandinavian design which would also appeal to both the active and passive lifestyle (couch potatoes). Choose from three colors: black (coal), red (cayenne), and blue (Cobalt) – vibrant and striking colors to complement fashion choices. Stainless steel frame – can withstand the rigors of everyday use and still come up top. Sturdy and durable. Lined or reinforced with dirt resistant fabric material. Adjustable and very flexible – can be bent or flexed in multiple directions without breaking. Stainless steel arm connects headband to ear cups and the headphone wires are visible. – Durable arm that will not break easily. Sufficiently padded to cushion the ears. Each ear cup is properly labelled on the inside of the cups themselves with a large (R) for right and (L) for left side – to distinguish which side goes to which ear and for better fit. Left ear cup has the audio port and the volume rocker control. Right ear cup has the power switch and Bluetooth switch with LED light indicators. Microphone – picks up background noise. Control – allows the user to control their music: allowing listeners to skip tracks without touching their mobile device, play/pause, and control volume; seamlessly switch between music and calls; call or pull up Siri/Google play/Google Maps/S Voice/Cortana. Audio Cables – made of rubber, thick and with a 3.5mm jack at both ends – one end is straight which is connected to the headphones while the other is L-shaped which connects to the audio source. MiscroUSB charging cord –built in battery powers the wireless capability of the headphones and with the charging cable it can be connected to any laptop or desktop for charging. 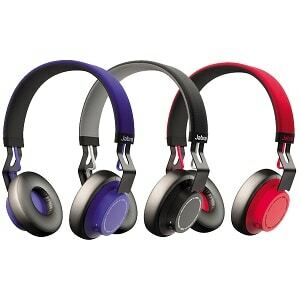 The headphones are lightweight and comfortable so they can be worn for long periods. Bluetooth 4.0 headphones – can easily pair or connect to any Bluetooth enabled devices. Can be hardwired in case battery runs out. Freedom of movement because of wireless capability. Can be used indoors or outdoors even while working out at the gym. Battery life lasts for up to 8 hours. Do not fold or is not very compact so it might not be that portable. The Jabra Move Wireless Headphones are a steal with the features that comes with it. It is a pair of headphones that is durable and sturdy, will provide or deliver a well-balanced sound at a very affordable price. They are very stylish, comfortable, and can be worn for long hours without relative discomfort plus the fact that it works both wired and wirelessly. It is a recommended pair of headphones for people on the go.